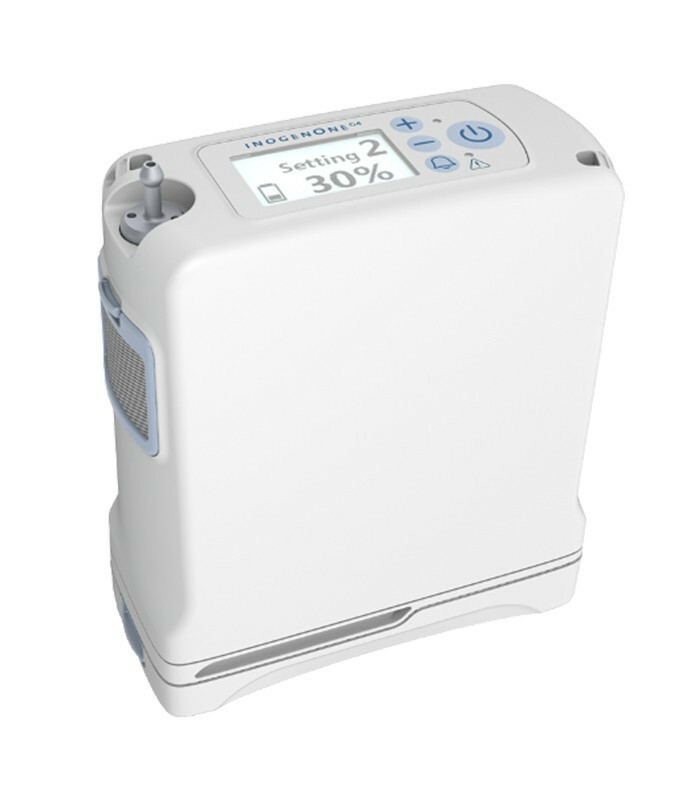 The new Inogen One G4 oxygen concentrator is the smaller concentrator in the world: only 1.27 kg weight and 40 dBA noise level. Up to 6 hours of battery life with a doublerechargeable lithium battery. Validated for use 24 hours on 24 and 7 days out of 7! 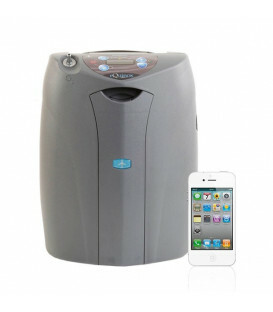 Portable oxygen concentrator, up to 3 l/min, "Pulse Wave" technology. 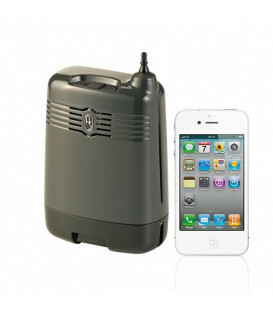 A portable oxygen concentrator capture the surrounding air and, after having passed through a particulate filter, the channeled towards a pump with the aim to increase the pressure. After the passage in electrocau pump, the air is directed through the filters of zeolite, capable of separating molecules of oxygen from the other gases present in the air. The oxygen that escapes from the filter, with a high purity, is conveyed towards the patient after passing through a filter for the dispensing nozzle, passes through the nasal cannula. The remaining gases are naturally present in the air, are expelled from the back of the device and put back into the environment. 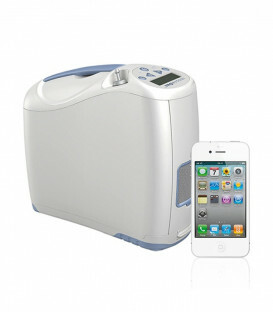 The oxygen supply is carried out with the "PULSED-WAVE" technology. Traditional systems (liquid oxygen, concentrators of the old generation, etc.) deliver oxygen with a continuous flow, making the patient totally passive: in fact the oxygen is delivered both during inspiration than in expiration phase. In contrast, the technology of pulsed-wave Inogen One is capable of delivering oxygen only when the patient requests it, thus allowing it to better oxygenate the pulmonary alveoli and practice an effective rehabilitation exercises. Inogen One provides more independence for oxygen patients. 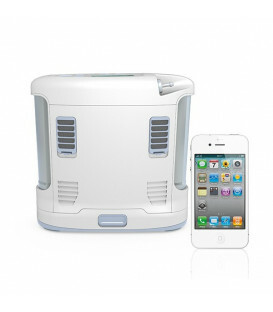 This oxygen machine is designed to serve in multiple roles, including home oxygen, portable oxygen and travel oxygen. The G4 Concentrator is an advanced design and upgrade of the original Inogen One Concentrator for oxygen therapy patients. 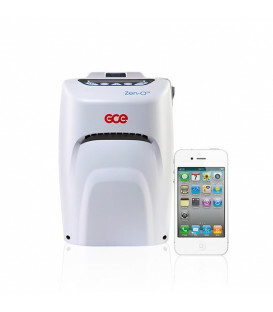 In comparison with the original, the Inogen One G4 is the smallest in size and more lightweight. 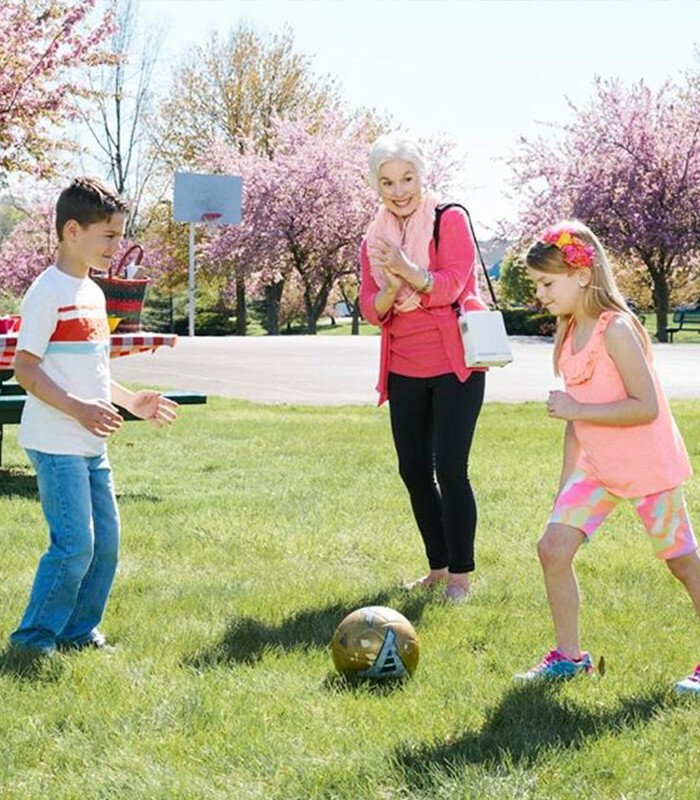 The Inogen One G4 Oxygen Concentrator is able to go where you need to go, when you need to go. It has a longer battery life between recharging--now up to 3 hours for the 8-cells battery and up to 6 hours for the 16-cells battery. An automotive adapter provides power and recharging while in route to your destinations, allowing you to shop, visit, and explore for extended periods. Purchasing additional batteries can extend your time away from power sources even longer. 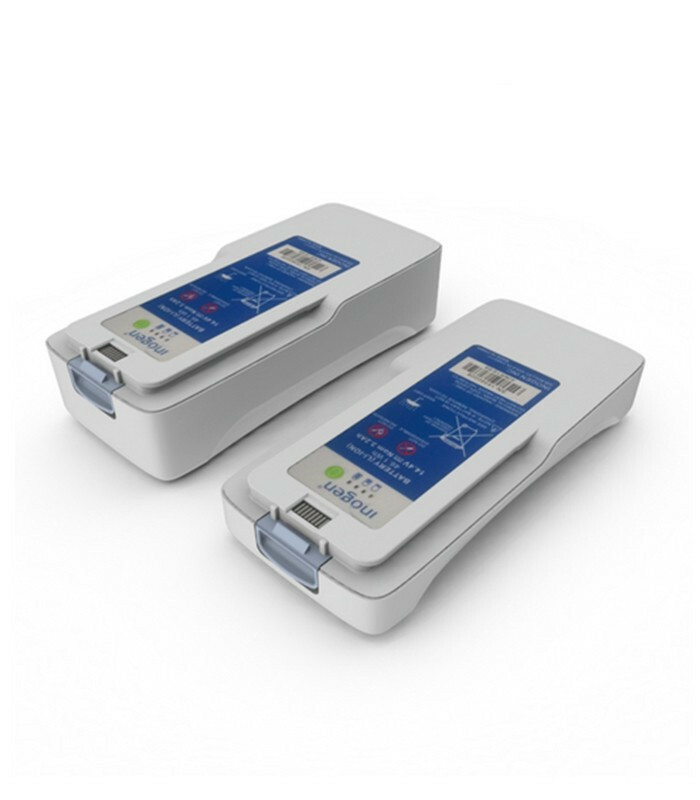 Inogen One Concentrators are clinically proven to provide the necessary oxygen for most ambulatory patients during all phases of daily activity and during sleep. 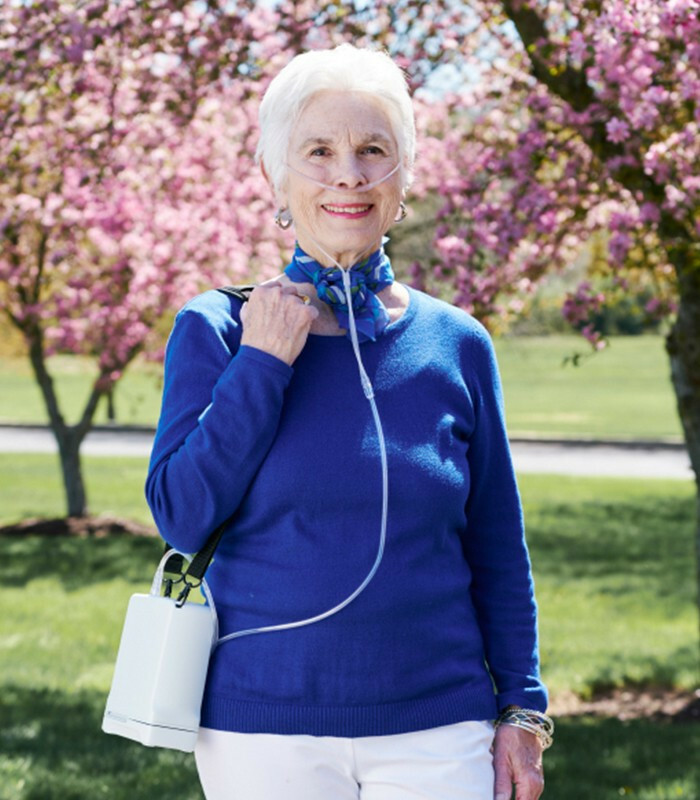 Compared with other major selling Portable Oxygen Concentrators, the Inogen One G4 Concentrator has the lightest weights on the market, even beating the Invacare XPO2. 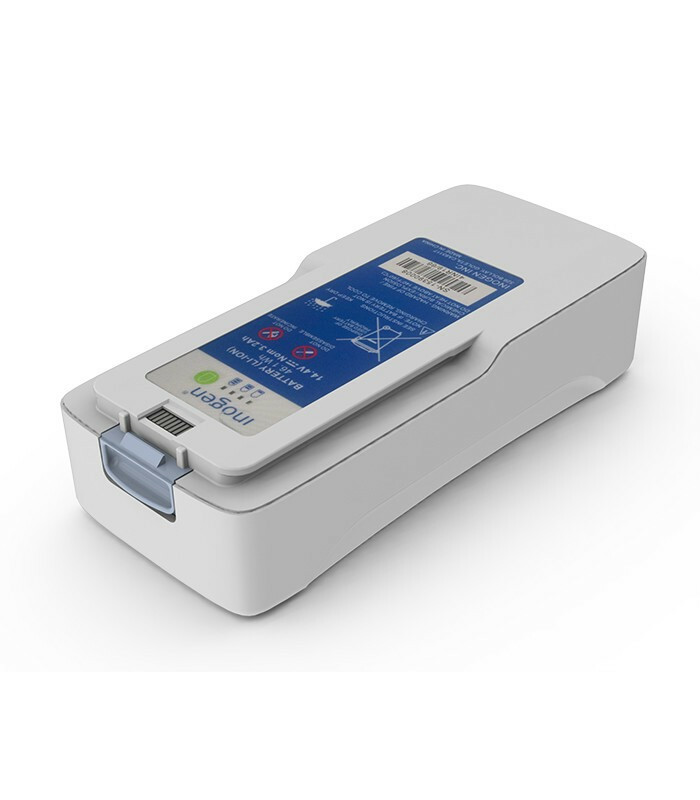 The Inogen One G4 also has an incredibly competitive and cost-effective price. 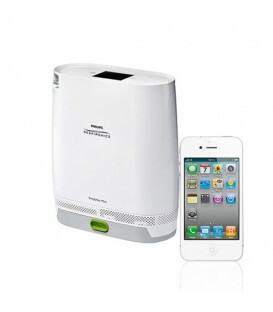 In comparing sizes, this oxygen generator is the second smallest oxygen machine. Comparing sound emissions, the G4 emits the lowest decibels at only 40. 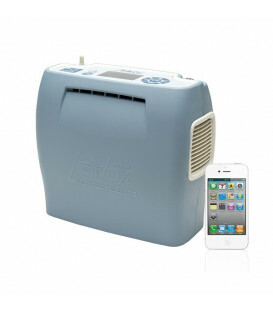 The AC power supply is auto sensing to allow worldwide use. 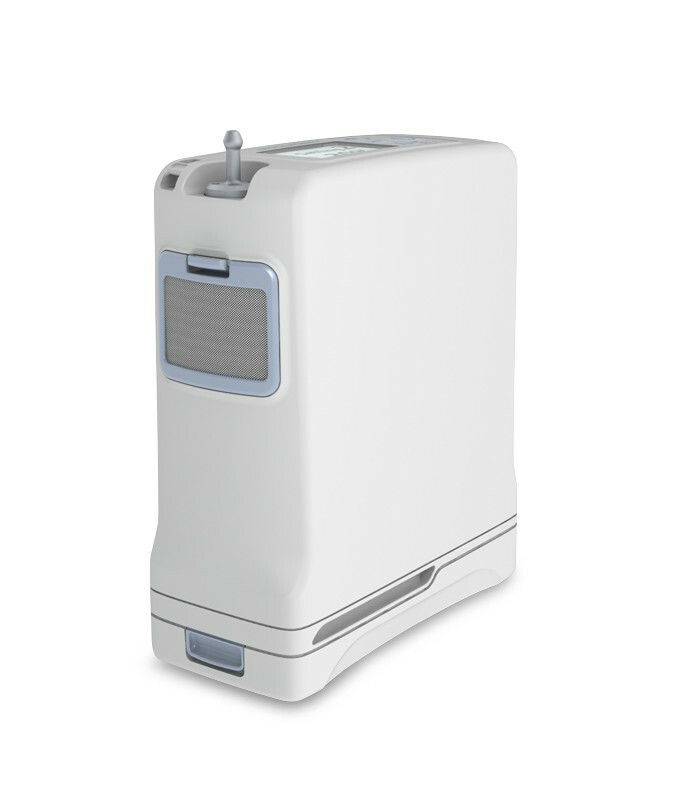 The G4 Oxygen Concentrator is authorized by the FAA for commercial airline travel, making the G4 a true Travel Oxygen Concentrator. 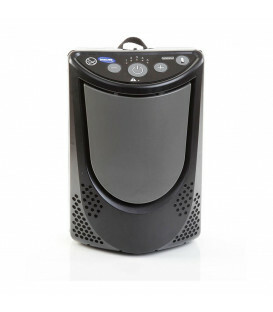 The Inogen G4 Oxygen Concentrator provides greater independence than any other concentrator currently on the market. Equipped with Intelligent Delivery Technology. 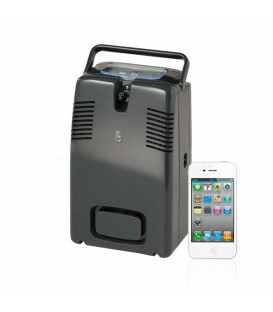 Small size provides easy handling and maneuvering in crowded shopping areas. Auto power sensing for worldwide use. Approved by FAA for domestic airlines. Low maintenance - washable particle filter saves money. Inspect weekly and wash when required. 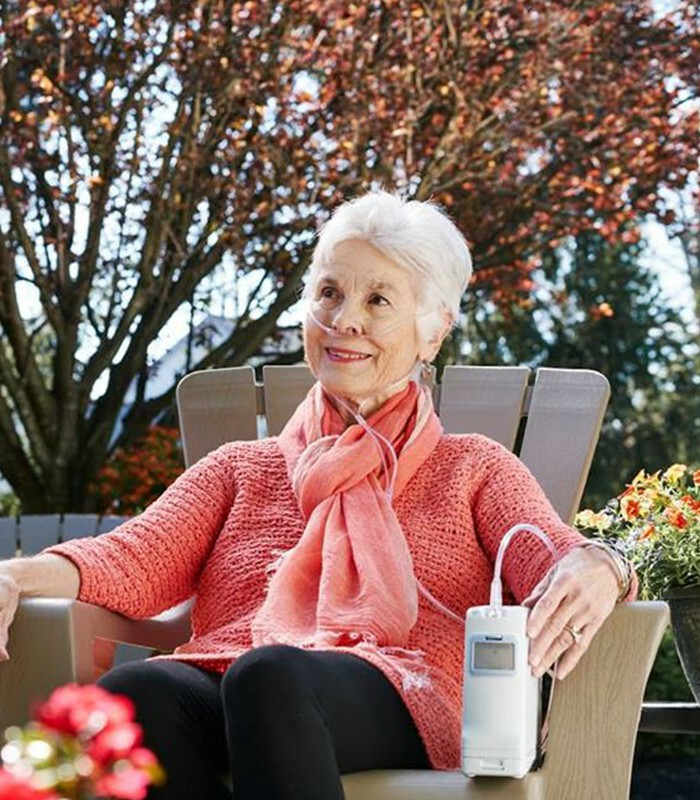 The Inogen One Portable Oxygen Concentrator oxygenates patients during rest, exertion, and sleep. Highly flexible to changing environments, the G4 meters oxygen delivery to promote increased oxygen delivery during sleep for most patients. 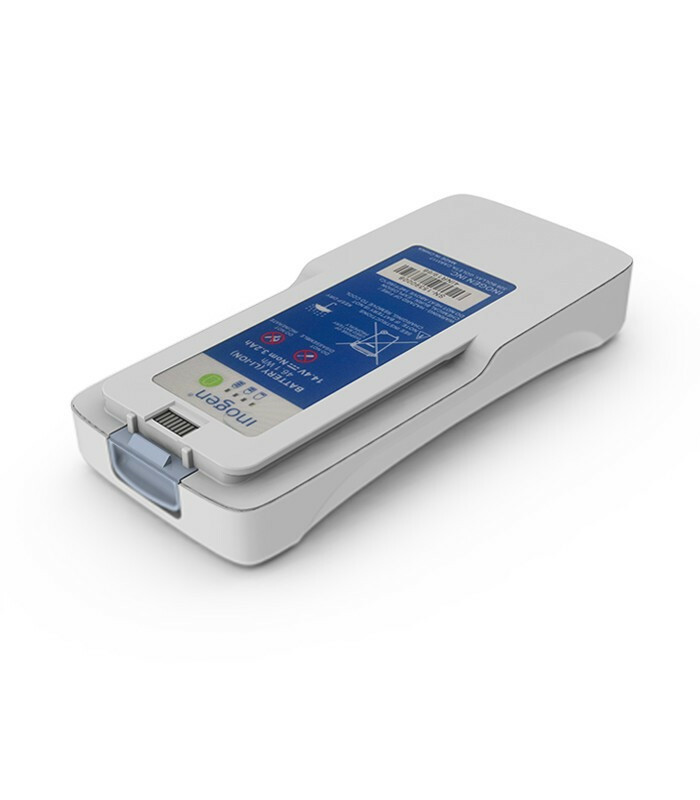 As breathing rate slows, the Inogen G4 increases each bolus dose. The G4 Concentrator detects even shallow mouth breaths at night and triggers a bolus dose based on a fixed minute volume. 5 clinical studies published in peer reviewed journals validate efficacy. Inogen has completed and published more clinical data surrounding the Inogen One than any other available oxygen therapy product. Severe pneumonia. Pneumonia is the infection of one or both lungs. If severe, causes deep inflammation of the alveoli, so that they can not exchange a sufficient amount of oxygen with the blood. Severe asthma attacks. Asthma is a lung disease that inflames and does restrict the bronchi. The majority of patients who suffer of asthma, including many children, is able to manage the symptoms safely, however, if asthma attacks are severe, the patient may need admission to hospital for oxygen therapy. Respiratory distress syndrome or bronchopulmonary dysplasia in premature infants. Premature infants may suffer from one or both of these serious lung diseases. As part of the therapy, may receive oxygen through a fan or a mask nasal continuous positive pressure, or via nasal cannula. COPD (chronic obstructive pulmonary disease). COPD is a progressive disease in which the injury to the alveoli prevent the passage of a sufficient amount of oxygen in the blood. The adjective "progressive" means that the disease tends to get worse with the passage of time. Severe heart failure. In this disorder, the heart is unable to pump a sufficient amount of oxygen-rich blood to meet the body's needs. Cystic fibrosis. Cystic fibrosis is a hereditary disease of the exocrine glands, including those that produce mucus and sweat. In patients suffering from cystic fibrosis airways fill with thick, sticky mucus, which facilitates the growth of bacteria, causing severe and recurrent lung infections. With the passage of time, infections can severely damage the lungs. Sleep-related breathing disorders that are lowering the level of oxygen during sleep, such as sleep apnea. Cluster headache. is a primary neurovascular headache extremely painful. Is a recurrent, with active phases alternate with periods of spontaneous remission. These active phases are called "clusters". Cleaning the inlet filter: these are two places in the network filters on the front of the machine; You can be removed manually. You must clean them with running water once a week. It is important that you do not dust neither on the outside nor on the inside of the network. The filters should be replaced only when the network is damaged or does not adhere properly to the frame of the device. replacement of the bacterial filter: the tablet that is under the door-rubber to which you connect your nasal cannula should be replaced once a year or when the device is used by a different from the previous patient. For replacement you must purchase the appropriate kit for removing the rubber-door. replacement of zeolite filters: they are the filters that separate the nitrogen from the oxygen and allow the device to carry out a proper therapy. When the filters are exhausted the machine will indicate the need for replacement through the display. The zeolite filters have an average life of about 2 years, but their duration is variable depending on the daily hours of use and inlet air quality. Filter change is not an operation covered by the warranty of the device. To replace just take a couple of filters to the firm Helgas, official support Inogen. The replacement pua be carried out in an autonomous manner by the patient. Warning: it is advisable to turn on and maintain the device into operation for at least 5 minutes per week. In the event of prolonged inactivity (over two weeks) you must disconnect the battery; if this is not done, you may encounter problems on the electronic management, which cause the lock device; If this occurs, you need to contact support (such damage is not covered by warranty).